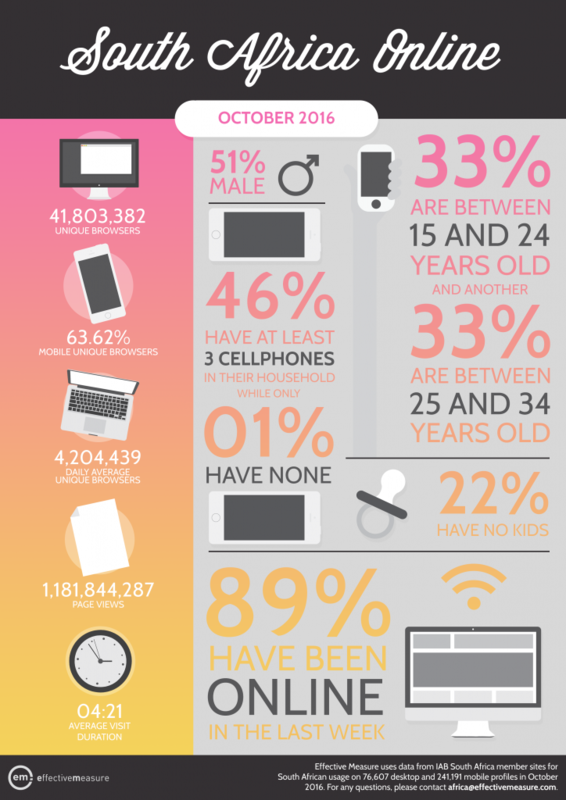 Every month, we publish the South Africa Online Report, which gives a snapshot into who’s online in South Africa. Since September’s South Africa Online report, the metrics have increased for unique browsers, but declined for page views and average visit duration. Despite the slight decline, mobile is still a favourite with over 63% people choosing it as their browsing device.